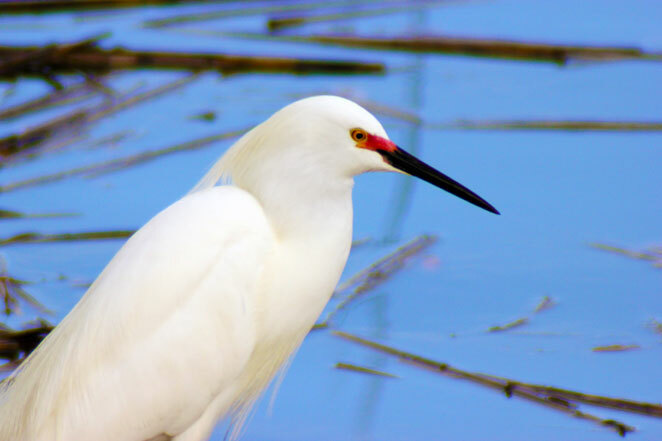 April 6, 2013 - Titusville, Florida - 11am Exotic Bird Show at the SPCA's Stroll-A-Thon After Party at the Titusville Sand Point Park at 10 East Max Brewer Causeway, Titusville, Florida 32796. Click here for more information. Click HERE to contact me to schedule a live show or to find out when I will be in your state. MOST RECENTLY HELD SHOWS AND LECTURES WITH HOST'S REVIEWS OF THE SHOWS. 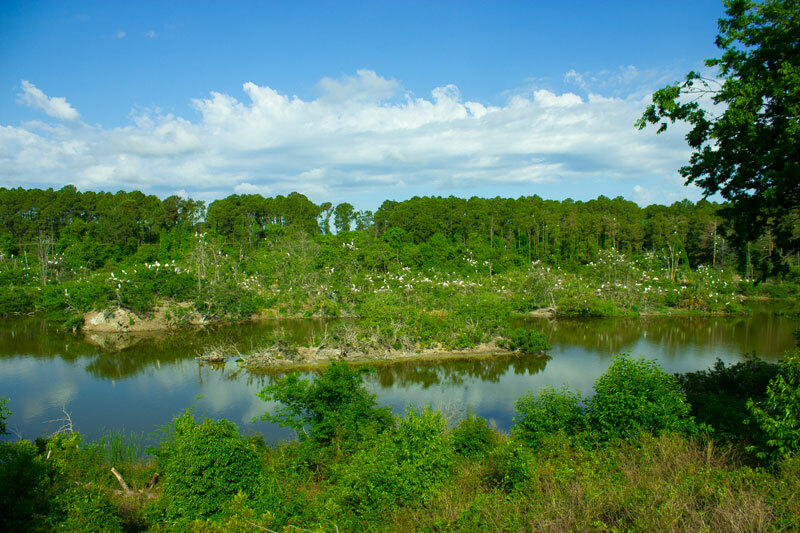 CROOKED RIVER MARSHES & CUMBERLAND ISLAND - A four hour kayak trip to discover some of the native marsh wildlife while discussing bird behavior, courtship and reproduction. Learn great bird identification tricks. Held at Crooked River State Park www.gastateparks.org/CrookedRiver. AMAZING BIRDS OF ROD V'S BIRD PLANET - Learn all about having / taking care of a pet bird and a few of the “secrets” covered in my book "A Bird’s Eye View!" There will be live bird demonstrations with some amazing bird tricks. Learn how to teach some of these routines to your own birds. You will find this very popular show entertaining as well as educational. 22ND 3PM OOLOGY / ORNITHOLOGY LECTURE - Working as an Oologist / Ornithologist. This lecture is geared for ages 11 and up. I will discuss my last bird research project in California and some of the duties involved in avian research. A great class for anyone thinking of entering a career in birds. Short bird demonstration after the lecture. 23RD 2PM FLYING DINOSAURS - Dinosaurs are now thought to be still around today. Now of days we call them birds. Learn about the latest discoveries scientist are finding out about our feathered friends. 24TH 10:30AM BINGO - This lecture is geared for 5-12 year old. Kids get to learn about birds as they play a fun "birdie bingo" game. Include a short live bird show. 24TH 12:30PM AMAZING BIRDS - See some amazing bird tricks and learn secrets on how to teach birds these routines. 25TH 11:30AM BIRD CARE 101 - Learn all about having and taking care of a pet bird. I will share a few of the "secrets" of bird care that I cover in my book "A Bird's Eye View!" Live bird demonstrations. Comments: "Rod is very knowledgeable and brings good information in a multi-media format. He's interesting, funny, creative and we loved it! Want more! We would love to offer even more workshops from Rod." Barbie Hart, Coordinator - Verde Valley Birding and Nature Festival. 1PM - BIRDIE BINGO - This lecture is geared for 5-12 year old. Kids get to learn about birds as they play a fun "birdie bingo" game. Include a short live bird show. 3PM - LIVE BIRD DEMONSTRATIONS - Learn all about having and taking care of a pet bird. I will share a few of the "secrets" of bird care that I cover in my book "A Bird's Eye View!" Live bird demonstrations. 7PM Oology / Ornithology Lecture - This lecture is geared for ages 11 and up. I will discuss my last bird research project in California and some of the duties involved in avian research. A great class for anyone thinking of entering a career in birds. 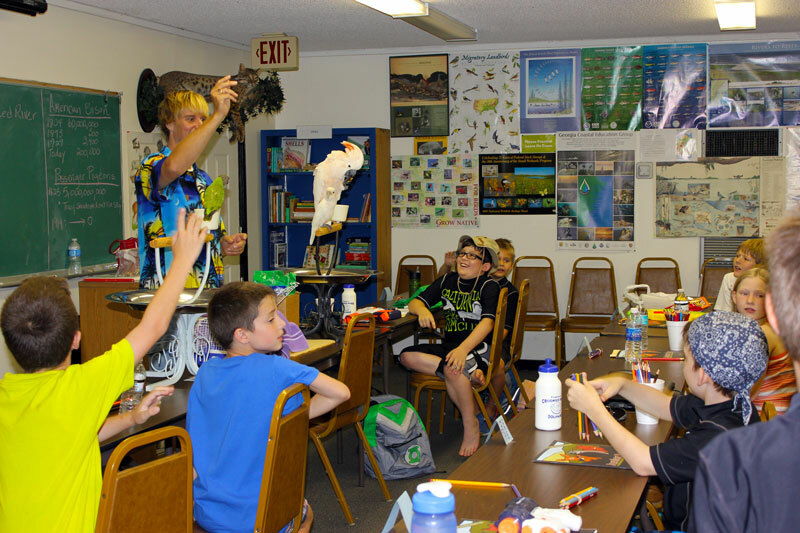 9:30AM BIRDIE BINGO - This lecture is geared for 5-12 year old. Kids get to learn about birds as they play a fun "birdie bingo" game. Include a short live bird show. 1PM ORNITHOLOGY LECTURE - Working as an Oologist / Ornithologist. This lecture is geared for ages 11 and up. I will discuss my last bird research project in California and some of the duties involved in avian research. A great class for anyone thinking of entering a career in birds. Short bird demonstration after the lecture. 3:30 AM BIRD AS A PET - Learn all about having and taking care of a pet bird. I will share a few of the "secrets" of bird care that I cover in my book "A Bird's Eye View!" Live bird demonstrations. 7PM - Oology / Ornithology Lecture - This lecture is geared for ages 11 and up. I will discuss my last bird research project in California and some of the duties involved in avian research. A great class for anyone thinking of entering a career in birds. ORNITHOLOGY LECTURE / BIRD TRICK DEMONSTRATION - Working as an Oologist / Ornithologist. This lecture is geared for ages 11 and up. I will discuss my last bird research project in California and some of the duties involved in avian research. A great class for anyone thinking of entering a career in birds. ORNITHOLOGY LECTURE AND LIVE BIRD DEMONSTRATION - If you have always wanted to work with birds, come learn the tricks of the trade. Enjoy seeing some of the live bird demonstrations as well as learning tips on their care. Bring the family and hear the humor and adventure of my latest research project and some of the duties of an ornithologist. 3:30PM ORNITHOLOGY LECTURE - Working as an Oologist / Ornithologist. This lecture is geared for ages 11 and up. I will discuss my last bird research project in California and some of the duties involved in avian research. A great class for anyone thinking of entering a career in birds. Short bird demonstration after the lecture. 6:30PM A BIRD AS A PET - Learn all about having and taking care of a pet bird. I will share a few of the "secrets" of bird care that I cover in my book "A Bird's Eye View!" Live bird demonstrations. 3PM - BIRDIE BINGO - This lecture is geared for 5-12 year old. Kids get to learn about birds as they play a fun "birdie bingo" game. Include a short live bird show. LIVE BIRD WALK - Learn about all the scientific research going on here at the State Beach with my work with the US Fish & Wildlife. Followed by a brief live bird demonstration with my exotic birds. Geared for the high school students but the public is welcome to come along. Page updated 3/22/13 © Copyright 2008 Rod Villemaire, CAS, Ornithologist, Host, Published Author, Webmaster and founder of the All Bird Rescue Foster Network.